„HARMONIE Lindenholzhausen“ is a registered association currently with 400 members. All choir and association members are volunteers who pursue idealistic goals for the public benefit. In addition to the large and internationally known male voice choir, the association also offers many activities for young people. In connection with the opportunity for an early musical education, the „Young Harmonists“ children’s and youth choir, led by music teacher Dorothee Laux, introduces children and youth to singing in a choir in various age-specific groups. The „Next Generation“ choral ensemble, under the direction of Martin Winkler, offers young people aged 16 to 25 the opportunity to further develop their choral music abilities with challenging, polyphonic literature. The HARMONIE youth club independently organises various leisure activities for young people from Lindenholzhausen and the surrounding area. The „HARMONIE Lindenholzhausen“ male voice choir, founded in 1906 by 11 young men with a passion for song, has presented demanding choral music with commitment for many decades. The choir currently has more then 80 members. The extensive a cappella repertoire of the choir includes, above all, works of classical vocal polyphony, the Romantic era as well as of the twentieth century. It is currently musically managed and directed by a choirmaster team under the direction of Martin Winkler and Andreas Jung. The team is complemented by vocal coach Donna Woodward. German and international guest conductors who are invited by the HARMONIE also play an important role in the musical further development of the choir. 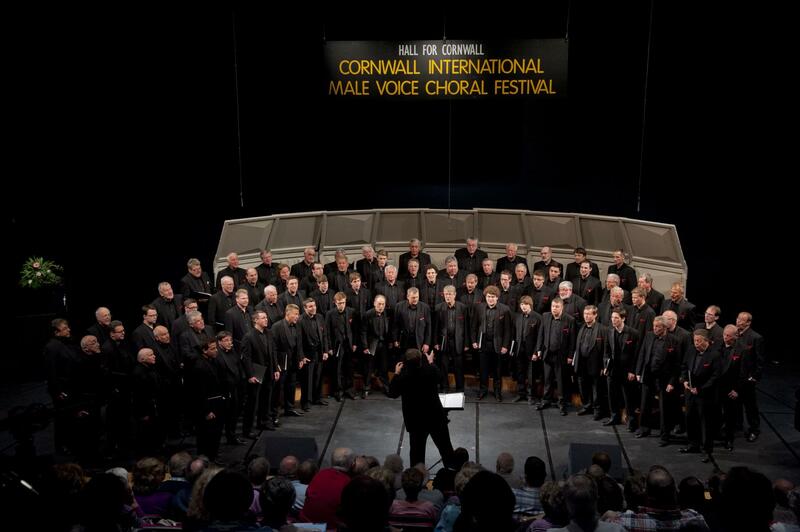 With focus on performance, the HARMONIE aims to continue to present itself in the future as a large and successful male voice choir in a rapidly changing choral scene. The extensive repertoire of the choir is developed in intense rehearsals and workshops and supplemented through contemporary and demanding choral works and compositions. This also includes compositions written especially for the HARMONIE, such as pieces by Robert Sund, Vytautas Miskinis, Matthias Becker, Hans Georg Hinderberger and others. In addition, the choir also occasionally dedicates itself to mixed-voice literature within the scope of large choral projects with various partners. „HARMONIE Lindenholzhausen“ has gained a prominent reputation around the world through numerous concert tours and participation in international music festivals in, among other places, England, Greece, Macedonia, Russia, the Czech Republic, Hungary, Wales, Austria, Latvia, Egypt as well as in the Netherlands, Switzerland and the USA. HARMONIE has already won numerous awards in these competitions. The greatest successes to date were at, among others, the Llangollen International Musical Festival in Wales, the International Male Voice Choral Festival in Cornwall (England), the Budapest International Choir Competition (Hungary) as well as in Germany at the German Choir Competition presented by the German Music Council. As a non-profit choral association, „HARMONIE Lindenholzhausen“ feels a special obligation to international culture exchange, especially by placing emphasis on the HARMONIE FESTIVAL and international concerts and concert tours. The foundation for this was laid by the first two international tours of the choir to Llangollen (Wales) in 1957 and 1959 together with participation in the „International Musical Eisteddfod“. Here, the HARMONIE singers, most of whom had themselves lived through World War II, learned how tolerance and friendship were promoted and strengthened through musical togetherness. The singers established contacts with choirs and their members from all over the world. These experiences led to other concert tours by the choir to many countries around the world and to visits from international choirs to Lindenholzhausen. From this developed the desire to establish an international festival in Lindenholzhausen. A first international festival was held in 1981. Under the name HARMONIE FESTIVAL, „HARMONIE Lindenholzhausen“ organized further international festivals in 1987, 1993, 1999, 2005 and 2011. In addition to the international cultural exchange and the activities related to choral music, Lindenholzhausen is very active and undertakes other cultural tasks in the local region.